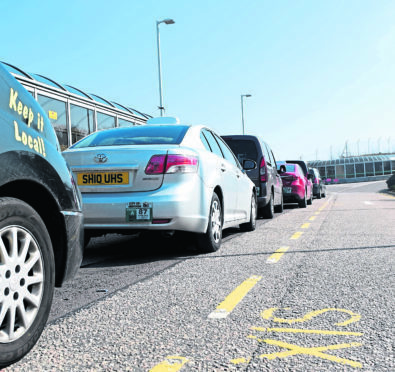 The taxi rank at Aberdeen International Airport. A 41-year-old man has been charged after numerous taxis were broken into in Aberdeen. Incidents were reported to police during September and October of vehicles being targeted at Cornhill Gardens, Sheilhill Gardens, Barvas Walk, North Anderson Drive, Hutcheon Street and Fowler Avenue. The man is due to appear at Aberdeen Sheriff Court today in connection with the break-ins.